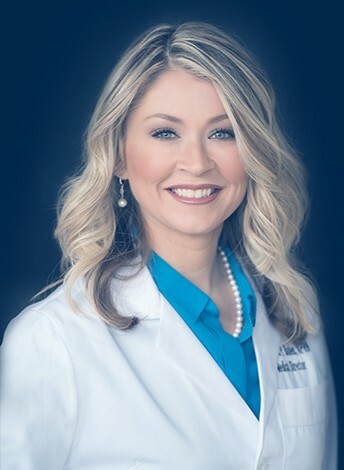 Hi, I am Christina Baden and I am using my 16 years of experience as a nurse practitioner to launch Connecticut’s newest anti-aging treatment center, Re:Nu 180 MedSpa. Focused specifically on injectable treatments such as Botox and dermal fillers, I created Re:Nu 180 to be a place to relax, unwind, feel beautiful, and renew your spirit. I began my medical career at the University of Connecticut, where I earned my bachelor’s degree in nursing. From there, I went on to earn my master’s degree from Yale University. Shortly thereafter, I joined Connecticut’s Radiance MedSpa, where I discovered my passion for anti-aging treatments. Soon, I became the lead clinician, responsible for administering all types of cosmetic procedures and training incoming staff. It may sound cliché, but helping women and men become happier and more comfortable in their own skin has become my life’s work. Other than my husband and daughters, there is nothing that I love more. When it comes to MedSpa treatments, I do things a little differently. With a decade of cosmetic enhancement experience, I help people find the transformation they seek and the immediate results they want. Working with me during a consultation is more of a conversation. I listen to my patients’ concerns and ask questions about how they perceive their problems with aging skin. As we talk, I get to know them and they get to know me. I consider each patient’s wants and needs, and together we determine what path is best, whether it is Botox to reduce deep brow lines or a bit of filler around the lips to lift and smooth the skin. With an artist’s eye, I enhance a person’s natural beauty and help create a younger-looking version that still moves normally and shows expression. My patients never look fake or frozen. Instead, they seem as though they were graced with anti-aging genes. What I have learned throughout my years as both a nurse and a clinician is that, often, less is more and prevention is nine-tenths of the cure. With a little work now, my patients will age gracefully and require fewer procedures in the future. Re:Nu 180 MedSpa offers more than just cosmetic treatments. It is a fusion of anti-aging procedures, laughter, and enjoyment. Unlike other practitioners, I get to know my patients and learn more than just their skin type and procedure preferences. We laugh together. We have fun. Dare I say, it is almost as though we become friends. That is why the majority of my clients are previous patients and referrals. After someone works with me, she or he knows that I can be trusted to provide amazing results and that I would never do anything that was not in the client’s best interest. For me, Re:Nu 180 MedSpa is about helping people become the best possible version of themselves. It is about making them happy. When I see the joy on a patient’s face when she looks in the mirror after her first treatment, I know that I am doing exactly what I was meant to do. From cheek fillers to Botox to lip injections, we have all of the anti-aging treatments you can depend on to bring your face back to its younger years. Best of all, we have fair pricing, expert practitioners and an environment that makes you feel comfortable. Click Here to take a closer look at the anti-aging treatments we offer at Re:Nu 180 MedSpa in Southington, Connecticut. Dermal fillers can be used in a variety of ways to give you a younger appearance. At our Southington, Connecticut, medspa, we use dermal fillers to reduce wrinkles, specifically those found around your mouth and nose. We also rely on dermal fillers to plump up thin lips and add contouring and shaping to the mid-face area. By using a combination of dermal fillers, we can masterfully make your face look five or ten years younger some of our Southington, CT patients say it's even more. By carefully adding hyaluronic acid to your lips through lip injections, we are able to control exactly where you will see increased volume. The fine needles of the lip fillers let us be meticulous with the lip injections, which allows us to artfully sculpt your lips precisely how you want them. Not only can you add volume to lips, but you can also choose what shape they are. Once the lip fillers are in, we will mold them with precision, and you can plan on enjoying your newfound plump lips for about six months before needing a touchup. The anti-wrinkle treatment at our medical spa in Southington, CT certainly lives up to its name. Once you have received the anti wrinkle injections, you will need to give it about 24-48 hours to notice a difference, and then your wrinkles will start to disappear. Over the next few weeks, you will see even more improvement, and many of our patients report little-to- no visible wrinkles within 30 days of the anti-wrinkle treatment. With continued use of anti wrinkle treatments most people need them every four months you may even be able to prevent wrinkles from forming in the future. When you come into our medical spa in Southington, CT, for cheek injections, you can look forward to a younger appearance by the time you leave. We will use our hyaluronic acid cheek fillers to strategically add volume and sculpt your cheeks to counteract the signs of aging. With our chin injections, which contain deoxycholic acid, we are able to remove chin fat. The things we can get accomplished with our eye fillers and brow fillers at our Southington, Connecticut, medical spa are quite astounding. Our under eye fillers allow us to improve dark circles and under eye bags by bringing the moisture back to the area with hyaluronic acid. But our eye fillers do a lot more than improve dark circles. We can use our eye fillers to bring fullness back to the thinned out skin above your temples, as well as help sagging eyelids. Our brow fillers often used in combination with Botox can give your eyebrows a subtle lift to contribute to a younger-looking you.